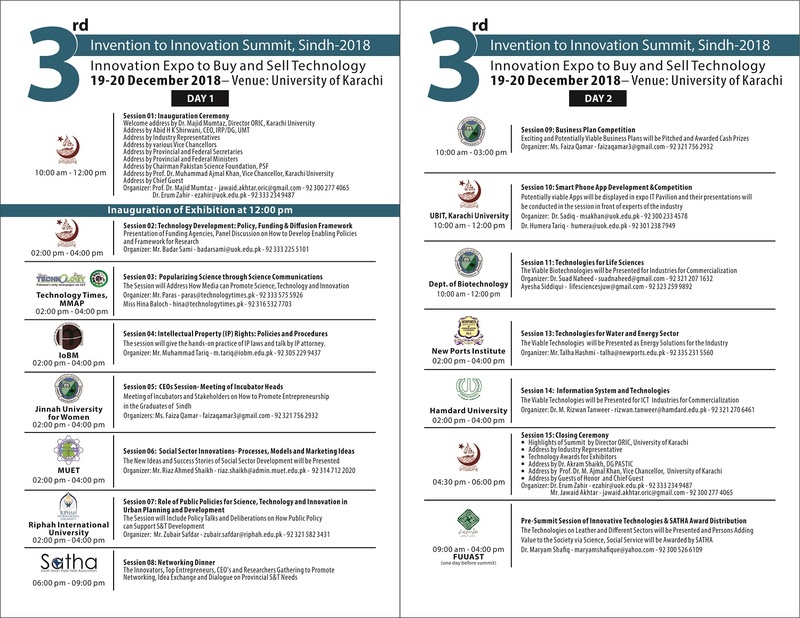 Pakistan Scientific and Technological Information Center (PASTIC)/ Pakistan Science Foundation (PSF) and Institute of Research Promotion (IRP), Lahore in collaboration with ORIC, University of Karachi, Karachi and other prestigious public-private institutions are organizing “3rd Invention to Innovation Summit, Sindh-2018,” on 19th-20th December, 2018 at University of Karachi, Karachi. 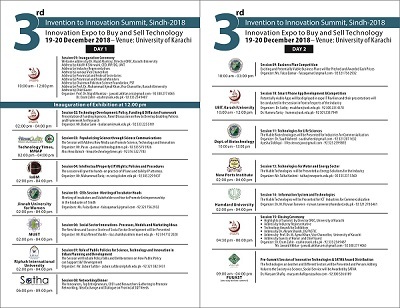 The "Innovation Summits" are hosted annually in all the 04 Provinces of Pakistan to strengthen National R&D network for promotion of S&T based economic development in Pakistan. 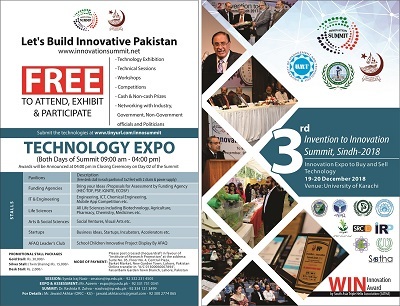 Each event includes academic and industrial stalls, posters display and technical presentation sessions. Cash awards, appreciation awards and different technology competitions are part of the summits. The event attracts participation of ministers, secretaries, industry CEOs, scientists, funding agencies, students and social activists. You and your esteemed institutions are cordially invited for participation in R&D Technology Presentation Sessions (display of posters/prototypes) in the said summit. For details see the summit brochure.